The Galaxy C7 Pro has a lot of strong points — the build quality is great, the Full HD AMOLED display is excellent, the overall performance is adequate, and the battery life is amazing. The lack of Nougat is a major downside, and it doesn't look like an update is forthcoming for the device any time soon. The Samsung Galaxy C7 Pro may not have the premium glass finish as it's A-series cousin, the Samsung Galaxy A7, but still offers a comparable battery life, performance and camera. That being said enthusiasts may find the performance lacking, especially when compared to the OnePlus 3T. Overall, the Samsung Galaxy C7 Pro is a neat device with a blend of smooth performance, good build quality, bright display and an admirable camera. If you are stuck within the budget of Sub 30K and can’t go below or above, then Samsung Galaxy C7 Pro is your answer. At a price of Rs. 25,990, the Samsung Galaxy C7 Pro seems to be a bit costly, but the overall product and performance at this range (Rs. 20,000 to Rs. 28,000) somehow justifies it. The result? Even for a die hard Samsung fan, the C7 Pro does not actually make a case that is strong enough to make it an easy decision. Especially with so many options out there. What would you pick in that price range? Let us know! Samsung has managed to strike a good balance between performance and battery life with the Galaxy C7 Pro. The premium build quality and crisp display add to its appeal. Yes, it is priced at the same level as the OnePlus 3 (Review), but the C7 Pro isn't running the same race. It's ideal competitor is the Moto Z Play which is priced at Rs 24,999. In comparison, the Galaxy C7 Pro offers a better processor, more RAM, and a sleeker body. Overall, we really liked the Samsung Galaxy C7 Pro. We think that at a price of Rs 27,990, it's a good buy. The smartphone has a sturdy build, sleek design and good performance. Its lasting battery and good cameras only add to the positive aspects. The display is another plus. If there's one thing that we didn't like, it's the fingerprint sensor. The C7 Pro inherits almost everything from its elder sibling, including the great design, excellent display, good performance, terrific battery life, and a decent set of cameras. Being smaller and cheaper, it is also generally more likable, as not everybody wants a giant, expensive smartphone. All these strengths make using Samsung Galaxy C7 Pro a very satisfying experience. There is no area where the handset falters, and you also get the bonus of Samsung branding and the advantage of the best after sales support network in India. 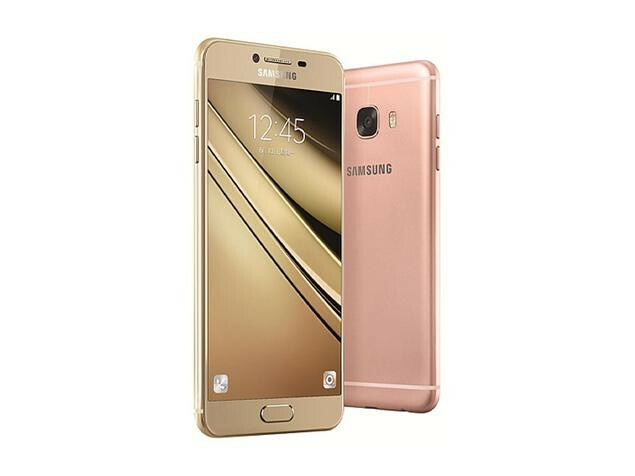 The Samsung Galaxy C7 Pro is a good handset, powerful, packed with good features, comes with NFC too and overall performance is smooth – good for gaming, plus hardware hardly heats up. Looking at the price once would immediately compare it with OnePlus handset. No doubt the OnePlus is better for the price but C7 Pro is better in two areas – one is the screen and other is the battery life. 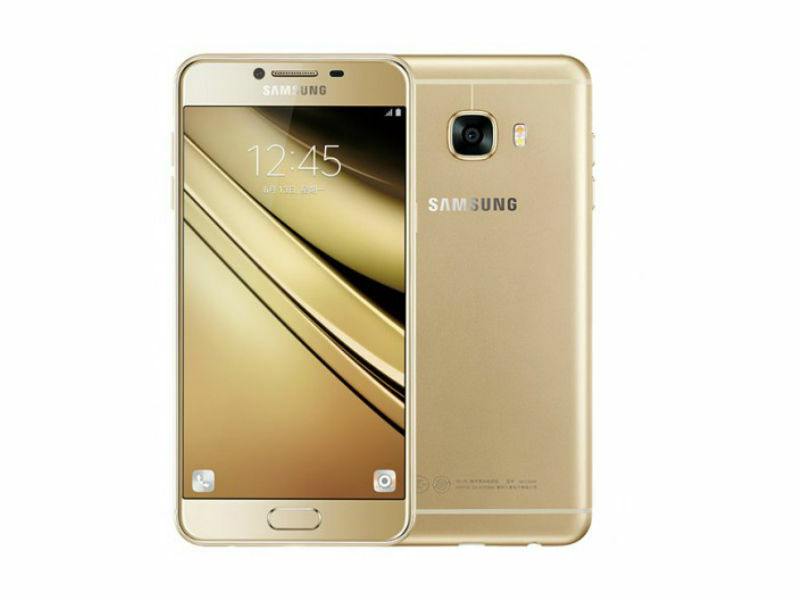 Samsung's Galaxy C7 Pro went official in China earlier this year and it has now been launched in India priced at Rs. 27,990. It will be available exclusively on Amazon India from April 11. The smartphone is essentially an upgrade over last year's Galaxy C7, and one of its biggest highlights is its slim, premium metal design. We got some hands-on time with the Galaxy C7 Pro at Samsung's official launch event, and here are our first impressions. Positive: Nice design; long battery life. Negative: Mediocre hardware; average performance. Positive: Decent hardware; fast fingerprint sensor; good cameras; quick charge. Negative: Many bloatwares. 77.71%: This rating is not convincing. The laptop is evaluated below average, this is not really a recommendation for purchase.